Posted on 20 July 2016. A TOTAL of 716 imported used vehicles inspected in the second quarter of 2016 were charged 15 percent of their Cost, Insurance and Freight (CIF) by the Zambia Bureau of Standards (ZABS) for not having roadworthiness certificates at the entry border point. According to ZABS head of marketing and public relations, Hazel Zulu, out of the 2,228 inspected vehicles, 1,512 vehicles were inspected and issued with road worthiness certificates whereas 716 did not have roadworthiness certificates and were made to pay penalties of 15 percent of the CIF. 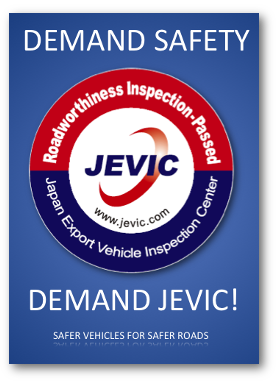 “It is worth noting that in the 2nd quarter of 2016, ZABS through the official appointed agents, JEVIC and ATJ inspected a total of 2, 228 imported used motor vehicles for compliance. “The vehicles entered the country through Nakonde, Chirundu, Livingstone, Katimamulilo and Kazungula border entry points,” she said. Ms Zulu said the highest number of imported motor vehicles entered Zambia through Nakonde border point which recorded 1,446 entries followed by Chirundu border at 509 entries and Katimamulilo border with 204 entries. She advised importers of used motor vehicles to subject their vehicles to inspection before they were shipped to avoid bringing defective vehicles into Zambia. She explained that the bureau was concerned that some importers were still evading the mandatory inspection as stipulated in the standard for used motor vehicles as could be deduced from the statistics that ZABS had recorded in the second quarter of 2016. “ZABS is calling on importers of used motor vehicles both individuals and companies alike to ensure that they comply with the Zambian Standard ZS 560, which is a Code of practice for inspection and testing of used motor vehicles for road worthiness,” she said. Ms Zulu said the bureau was not happy that some vehicle importers had continued to evade road worthiness inspections at the point of origin. She emphasised that pre-shipment inspection of goods in general was a standard international practice which helped countries control the influx of sub-standard products from entering their markets. She said the greatest advantage of the practice was that the sub-standard products were detected at source and prevented from being shipped to importing countries. Ms Zulu has since warned that such importers were not only violating the Standards Act CAP 416 of the laws of Zambia but also endangering the lives of other road users.